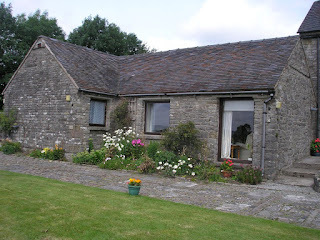 Hall Farm Cottages offers self catering holiday accommodation in the heart of the Peak District National Park. Our holiday cottages are situated on 2 acres of paddocked land on Hall Farm in the village of Wetton, Derbyshire, close to Ashbourne. Our 3 delightful stone built holiday cottages are surrounded by peaceful open countryside with magnificent views of the Manifold Valley and Thors cave. 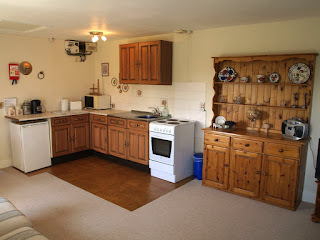 The holiday cottages provide comfortable self catering accommodation sleeping 3, 4 and 5 or a combination of up to 12. Short breaks and special offers are available. Hall Farm Wetton is ideally situated for visitors to take advantage of all the main attractions of the Peak District National Park. The holiday cottages are close to some of the best scenery in England, with the Manifold Valley, Dovedale and Wolfscote Dale within walking distance. These are some of the most spectacular limestone dales of the Peak District and offer excellent walking, fishing and bird watching. Within easy reach are the towns of Buxton with its opera house and annual Festival, Bakewell with a weekly livestock market, Matlock which has a range of visitor attractions, including a theme park and Ashbourne which has an outdoor market twice weekly.